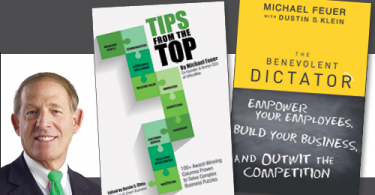 IT Business Edge’s Don Tennant sat down with Michael Feuer and after his interview, what Feuer said resonated well beyond the original article. So much so that Tennant’s weekly blog summarized some of his post-interview thoughts. I’ve come to know a lot of CIOs and other IT leaders over the years, and if there’s one quality that characterizes those who’ve been the most successful, it has to be their willingness to make tough decisions without feeling compelled to go through the time- and energy-sapping ordeal of trying to build a consensus or analyzing the situation to death. So when I spoke last week with Michael Feuer, the co-founder and longtime CEO of OfficeMax, I was nodding so much I felt like a bobblehead in an earthquake. 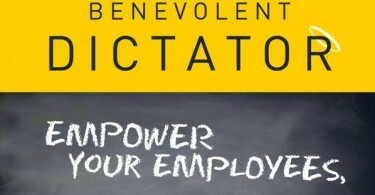 Feuer, author of the book, “The Benevolent Dictator: Empower Your Employees, Build Your Business and Outwit the Competition,” has, once and for all, debunked the myth that the best leaders are consensus builders. My interview with Feuer is posted here, but this excerpt from our conversation will give you an idea of where this guy is coming from:You can read the rest of Tennant’s blog here.